Opening the door to new opportunities within your Industry. SWMBIA benefits fall into four major categories that reflect our mission. We’re always seeking new ways to support our members and make their businesses thrive. SWMBIA keeps pace with all developments at the local level that potentially impact our Members. We attend every City of Bozeman meeting in which various development and growth departments present new information and policies. All members are informed of these updates via the SWMBIA website and our Newsletter. Additionally, we communicate with key local decision-makers to ensure they are making the best choices for our Industry. Our feedback has positively impacted local government and they continue to turn an ear to SWMBIA to understand our goals. SWMBIA communicates with the Montana Congressional Delegation to advocate for our Industry within the state. As part of NAHB, we keep abreast of issues impacting housing across the nation and interpret how those trends impact Southwest Montana. We join NAHB in fighting excessive fees and regulations to ensure Americans of every class can better afford housing. Taking place in the Fall, the annual Parade of Homes allows builders to show their workmanship and market their homes at the largest open house event in Southwest Montana. Suppliers are able to display products in these showcased homes for added exposure. Advertising in the official Parade of Homes magazine is also available. Meet and network with approximately 100 members affiliated with the building industry monthly. Members often have the opportunity to present table-top displays, showcasing products to other members during the monthly meeting. Your company’s name, contact person and phone number are listed on the website and in the following publications: Home Expo Member Directory and in the annual Parade of Homes Magazine. Promote your company by sponsoring one of the many SWMBIA events. Participate in a variety of SWMBIA Special Events, such as Golf Tournaments, Family Picnic, Clay Shooting, and the Holiday Party in December. Participate as an exhibitor with exposure to thousands of potential customers at the annual Home Expo in the Spring. Receive an Excel workbook with all SWMBIA members’ names and addresses for just $75. Members are invited to educational seminars and roundtable discussions with Industry experts throughout the year. Promote your professionalism in your industry by using camera-ready SWMBIA logo artwork in your advertising, as well as in online and print marketing materials. Display SWMBIA Membership Certificates at your place of business. Members receive discount rates to advertise in the SWMBIA Monthly Newsletter, Parade of Homes Magazine and Home Expo Magazine. Members are invited to educational seminars and roundtable discussions with Industry experts throughout the year. A variety of software, books and other educational and management materials are available for members at a discount through www.buildersbook.com. We’ve compiled and made accessible pertinent information and documents, such as mechanic’s lien notices and warranty information. And, don’t forget the personal attention SWMBIA Members receive from the 200+ knowledgeable staff at the NAHB. Free to all SWMBIA members by calling 1-800-368-5242, ext. 0 or logging onto a Members Only access at www.nahb.org. Receive the SWMBIA Monthly Newsletter which covers upcoming events, association activities, and articles pertinent to the Industry. You’ll also receive information from the National Association of Home Builders (NAHB) and the Montana Building Industry Association. Builder magazine is free to all Builders and offered at a reduced rate to Associates. SWMBIA is committed to serving our community through diverse contributions and by leveraging members’ willingness to donate time. Our efforts have supported: Bozeman Schools Foundation, Habitat for Humanity of Gallatin Valley, YMCA, Gallatin Valley Food Bank, United Way, Child Care Connections, Montana Special Olympics, Love INC, Eagle Mount and other organizations. We also support housing-specific causes, such as HomeBuilders Care Programs such as the Eagle Mount Fix-It Day, Rescue Mission Project & Bozeman Youth Home Renovation, Arbor Day projects and others. The SWMBIA Website is the spot to learn more about the latest industry news and learn more about our membership. All members are listed, free of charge, on the site. Free links to members’ websites are available. Banner advertising available at low rates. We refer members to a trusted forum of legal professionals who specialize in our Industry. 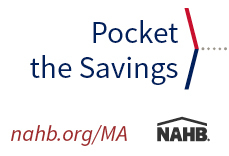 SWMBIA Members can access a variety of discounts through the NAHB Affinity program. Our members may also enroll in the MBIA GRIP Program—Montana’s #1 Worker’s Compensation Program. The SWMBIA board and staff are here to support our members in any way possible. Whether it be through providing contacts, resources or answering simple questions. Of Associate members and 2/3 of Builder members have been Members for over 10 years or longer.